Stunning children’s decor like this is yet another reason I don’t want my kids to grow up! I just love beautiful spaces for kids. At our house, our children’s rooms are places where they can relax, learn and play, and the effort we’ve made in making them look beautiful does not go unappreciated. It means they want to spend time in their rooms – and so do we! Online lifestyle brand Rowen & Wren has made a business out of making rooms look beautiful. Be it classic or contemporary, this treasure trove of delightful wares has a little something for every child’s nook. Here’s but a small taste of what’s on their menu. 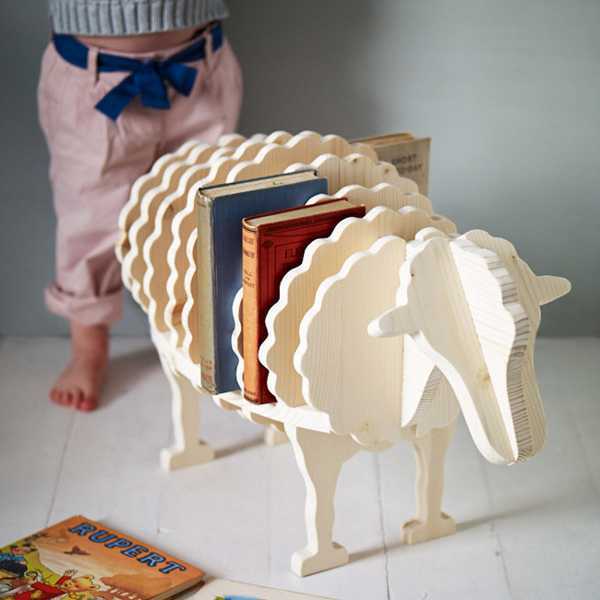 Storage solutions need not be an eyesore, as this adorable Baa-Baa Bookshelf very cleverly demonstrates. A place for books and trinkets, it’s beautiful and perfect for a child’s room. It costs £88. A cosy corner to curl up with a good book is pretty much an essential for kids. And if you’ll pardon the pun, these James’ Giant Apple and Pear Pouffes look like a delicious place to relax. 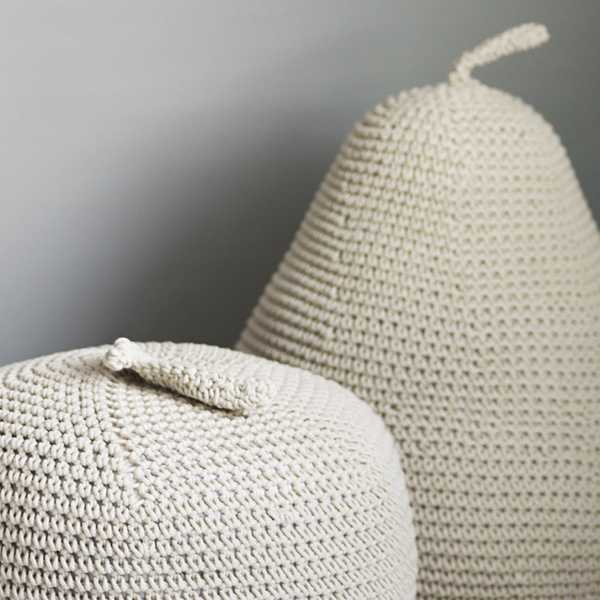 They’re made from organic crocheted cotton, and each one is handmade. They cost £244 pounds each. 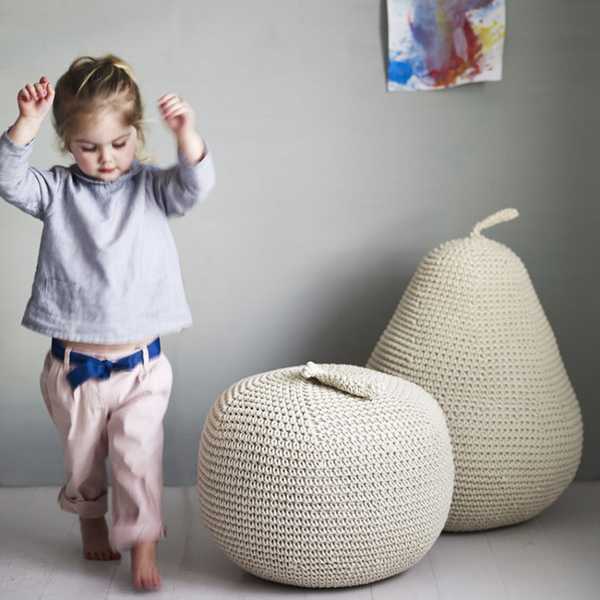 We have a soft spot for knitted toys at Babyology (again, pardon the pun!). 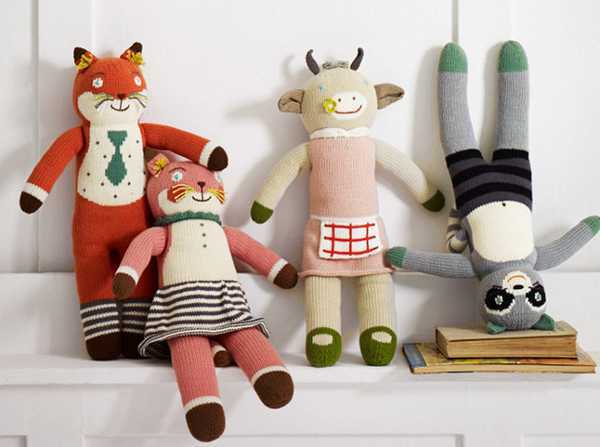 Rowen & Wren has a fabulous menagerie of knitted animals to choose from, for £38 each. This timepiece would look amazing anywhere in a house, and I love how interactive it is. 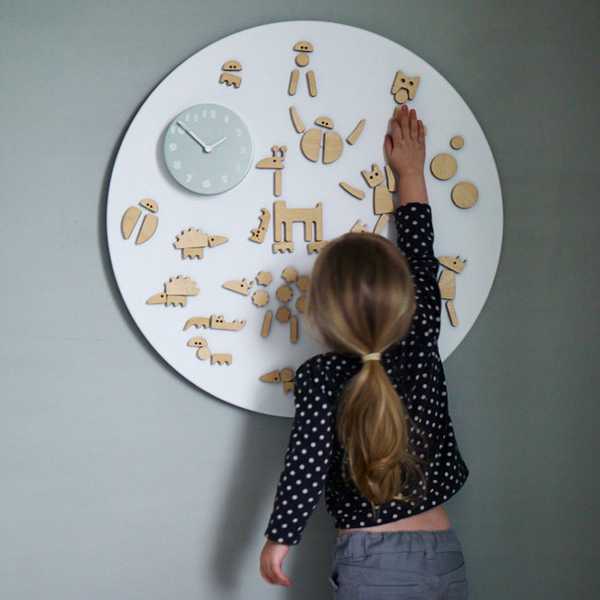 The Marli Magnetic Play Clock includes a selection of magnetic wooden pieces to keep the little ones amused. It’s £192. Finally, I’ll round up this post with another sheep (ok, that’s the final pun). This is a truly stunning toy, that’s right up there in the heirloom stakes. The Rock Ewe Rocking Sheep is a very handsome fellow, upholstered in natural wool fleece with a carved face. This beautiful rocker is £342. You can have a virtual wander through Rowen & Wren to see the entire Little Rowen & Little Wren collection. Shipping to Australia is available, however there are some additional delivery charges for bigger items.